Scripted by award-winning Dr. Yvonne Oswald, this hypnotic meditation will have you feeling good in minutes. Using her decades of hypnosis and meditation experience, and her choice selection of just the right words to unlock results, this meditation will have you feeling your super powers by the time you are done. It is my honor to guide you on this powerful journey into your subconscious, where you will become aware of just how amazing you really are. 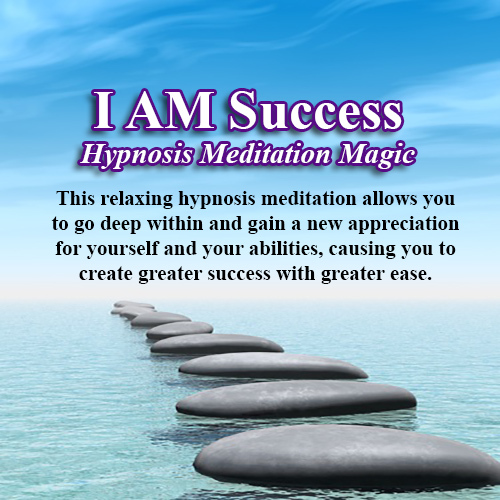 Great for confidence and peace of mind, the I AM Success Hypnosis Meditation delivers in a big way! Before long, meditation will become one of your very favorite things to do! You will fall in LOVE with the time you gift yourself!